“On The Scene SF/O”, presented by Ridgeway Radio, is a FREE Bi-Monthly (audio) interview formatted podcast with artists, musicians and individuals of prominence who have been instrumental in creating interesting and meaningful recordings, performances or other contributions locally in the SF Bay Area, regionally, nationally, and/or internationally. We are pleased to present this opportunity to promote great musicians and music personalities through the podcast medium, while creating an archive that will provide insight to those interested in what the artists are about on a more essential level. Ridgeway Arts is dedicated to developing the Bay Area educational and performance scene. Your support enables us to sustain a variety of programs and meet administrative and operational objectives. Basically, your contributions keep us moving forward in our mission to further the preservation and growth of jazz and related styles of music. Support Ridgeway Arts with a tax-deductible donation today! Singer and creativity enthusiast, Moorea Dickason, is one half of the San Francisco/East Bay original art-rock super group, MoeTar, along with amazing musician and artist husband, Tarik Ragab. Striving to always serve the music, she shows up passionately and professionally in all that she participates in; to the extent of fearlessly baring her soul to appreciative audiences. MoeTar put 2 albums out with Magna Carta Records but struck out on their own as an independent project in January 2016. Moorea and Tarik are presently producing consistent video songs every two weeks for their growing patrons on the Patreon platform. For those who love interesting new music, unexpected covers of familiar and unfamiliar songs, quirky yet poppy originals- all done with stellar musicianship and love for art and craft- will find the fertile soil of Moorea and Tarik’s imagination, nourishment to the spirit of creatives and music lovers alike. With good humor and forthrightness, the two spoke with OTSSFO about the care and feeding of a band of virtuosos, self-awareness, making a living through creative endeavors and content, and marriage in art and life. As a complement to our two part conversation with New York Based, Bassist, Composer, Recording Artist, and Educator, Ben Allison, with his permission, we are providing a special peek into a portion of a discussion held at the California Jazz Conservatory in Berkeley, California. This preceded a performance of material from his new recording with the Think Free Band entitled ‘Layers of the City’; now available. Also in the room was his touring band for the occasion, Steve Cardenas on Guitar, Allan Mednard on drums, and Kirk Knuffke on Cornet. 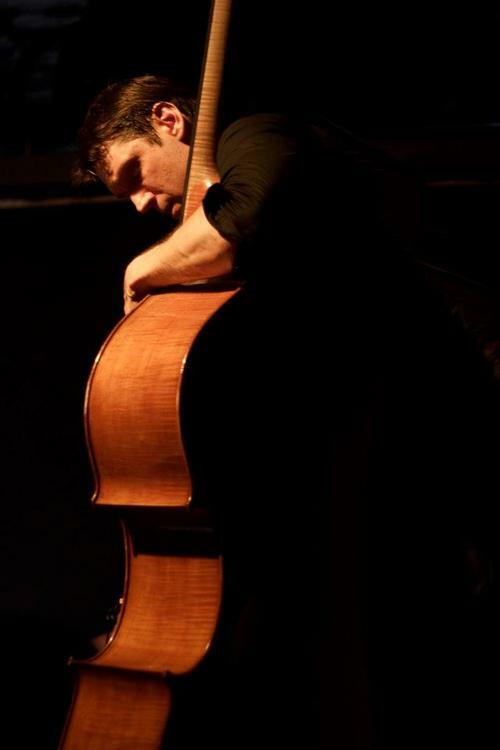 We continue with Part two of our discussion with New York Based, Bassist, Composer, Recording Artist, and Educator, Ben Allison. turning audiences on to jazz through dialog and live performance. We resume our discussion with Part two to further unbox Ben’s viewpoint on the intrinsic value of music, the importance of copyrights, the benefits of an extended career in jazz, touring life, advocacy and engaging with politicians, and how that is channeled into his creative process. 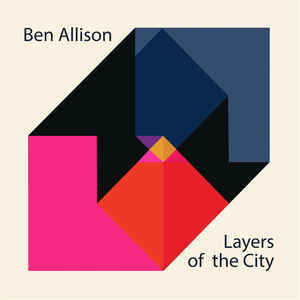 We also reference a conversation surrounding Ben’s personal approach to composing, and how it yielded some of the tunes on his new recording, ‘Layers of the City’. 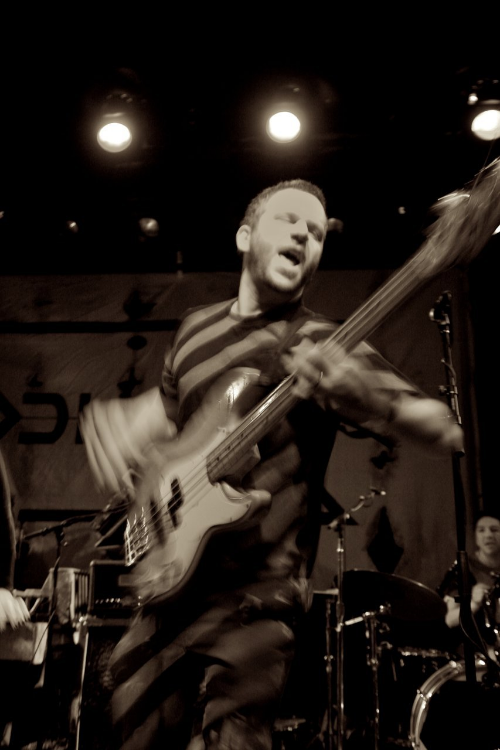 New York Based, Bassist, Composer, Recording Artist, and Educator, Ben Allison has a career that spans several decades. Ben has established himself at the forefront of modern jazz and creative music. A disciple of the jazz canon, rock, folk, 20th Century Classical music, and improvisational music from around the world, he firmly believes in the notion that the tradition of jazz is to move the music forward. He was a founding member of the Jazz Composers Collective that produced more than 100 performances in New York and abroad, new music, and annual concerts in the region for 11 seasons. One could add one time club owner (Kush), and now producer, record label owner, and artist advocate activist to his CV, with that last part highlighted by virtue of Ben's position as current President of the Board of the New York chapter of the Recording Academy. With more than 11 recordings out under his various group configurations, such as Ben Allison and Medicine Wheel, Peace Pipe, and Think Free bands, he is now releasing his second recording on his Sonic Camera label imprint, with ‘Layers of the City’. A set of new compositions featuring Ben with Guitarist, Steve Cardenas, Trumpeter Jeremy Pelt, Pianist Frank Kimbrough, and Allan Mednard on Drums. We spoke with Ben about his new recording, composing process, audience engagement, leanings toward activism and advocacy, worldview, and development as a recording artist. With such a rich and densely packed career, we couldn’t possibly fit it into a brief discussion, so we have broken our conversation into several parts. Matthew Szlachetka, guitarist, singer-songwriter, and producer. Originally from the state of Massachusets, Matthew is now Nashville based after being a long-time resident of Los Angeles. His roots rock and Americana style is familiar with audiences all around the U.S. through his various songwriting partnerships, and ultimately as a diligent touring solo artist. At home playing lead on electric guitar in his studio recordings, he is more likely to have an acoustic guitar in his hands with songs that fit neatly into the sensibilities of giants like Bruce Springsteen, Tom Petty, and Bob Dylan. And with his new full-length recording entitled “Heart of my Hometown” slated for release in 2017, it is no wonder, as the product is produced by Grammy Award winning producer and engineer, David Bianco, who's credits include all of the aforementioned, as well as Mick Jagger, Lucinda Williams, and many more of diverse styles. We feature excerpts from both 2017's forthcoming release, “Heart of my Hometown”, and 2014’s “Waits for a storm to Find” throughout our discussion. We continue Part Two of our conversation with Bulgarian born guitarist and composer, Hristo Vitchev. While in Part One we highlighted his acclaimed 2 Disc release, “In Search of Wonders”, not to mention a foray into Hristo’s love of metal guitar and music in his youth, in Part Two, we continue the discussion into how he channeled his business acumen in the music industry through foundational marketing strategies and early adoption of social media tools to become a recording artist, label owner, clinician, and internationally touring musician. Hristo offers his experience as a virtual master class for those aspiring to be bandleaders and touring recording artists. What happens when you transport a Bulgarian born, metal loving guitar player to San Jose, CA by way of Venezuela and "small-town" Utah? You get impressionistic jazz composer, bandleader, and guitarist, Hristo Vitchev. Making the San Francisco Bay Area his home, Hristo can be found producing a prodigious amount of recordings with longtime collaborators in his own, Hristo Vitchev Quartet. With a variety of Duet and Quartet recordings under his belt on the label, First Orbit Sounds, that date back to 2009, one can explore his steady output. In 2016, he released an ambitious double CD entitled “In Search of Wonders” to acclaim, and features a quartet of musicians that highlights easy interplay as a result of their long-time association. We made this discussion a two-parter. In Part One, we explore Hristo's journey from Bulgaria to establishing his prolific Quartet out of the San Jose State Jazz Program, with stops at jam sessions along the way, restaurant casuals, and having his dreams dashed at a Death Metal show. Immediately available is Part Two- a BONUS EPISODE that provides a virtual master class on building one's career in jazz as a bandleader, including foundational marketing strategies, Social Media tools, running a record label, and managing overseas tours. Vocalist and Composer Tammy Scheffer visited On The Scene SF/O in Berkeley, CA. One of the foremost creative voices on New York City’s vibrant jazz scene, Scheffer is an increasingly difficult musician to classify. She has found equal cohorts in modern jazz, progressive rock, acoustic music, and solo, duo, or trio vocals and looping projects. Born in Belgium and raised in Israel, she studied music at the Rimon School of Jazz and Contemporary Music before moving across the globe to attend the New England Conservatory in Boston, Massachusetts. The Tammy Scheffer Sextet’s 2010 recording, ‘Wake Up, Fall Asleep’ was selected directly by renowned saxophonist Greg Osby for release on his Inner Circle Music label. She also has a healthy list of work available for viewing on YouTube ranging from VideoSongs with Israeli Prog Rock Keyboardist, Eyal Amir and Project RnL to her own solo and ensemble projects. Most recently she has released an exciting and innovative EP with the jazz and rock driven trio, Morning Bound, comprised of Tammy on vocals and loops, Panagiotis Andreou, Bass and Vocals, and Ronen Itzek, on Drums. 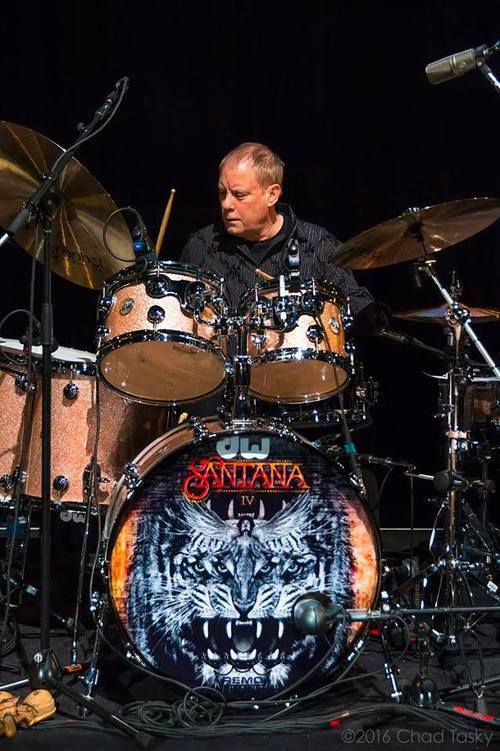 We continue on with Part 2 of our discussion with original Santana drummer, Michael Shrieve. As we discussed in Part 1, Shrieve is documented on the studio album, Santana IV, released in March of 2016, featuring members of the original Santana band from that Woodstock era group- Guitarist, Carlos Santana, Guitarist, Neal Schon, Vocalist and Keyboardist, Gregg Rolie, Percussionist, Mike Carabello, with newer Santana collaborators, percussionist, Karl Perazzo, Bassist, Benny Rietveld, and guest vocalist, Ronald Isley. 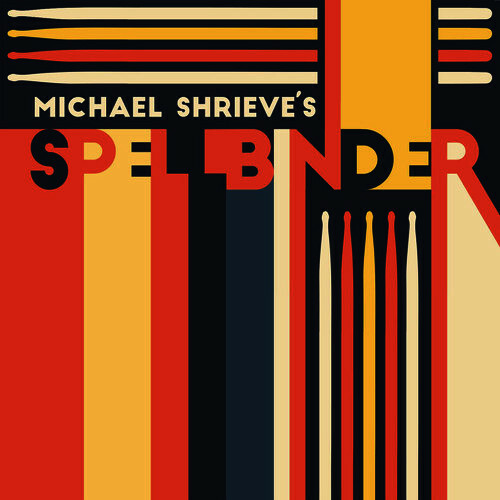 Earlier in the year Michael also released his latest recording of latin, rock and funk inspired fusion with his group Spellbinder. We will speak more about this group and its future plans. It is in Part 2 that we get to hear about important collaborations with Klaus Schulze, David Beal, Andy Summers, Steve Roach, David Torn, Jonas Hellborg, Bill Frisell, Mark Isham, Wayne Horvitz, and Marty Fogel. The resultant recordings of which outline an extremely productive and important output of creative music inspired by electronic music developments, jazz, film, and a return to his roots. 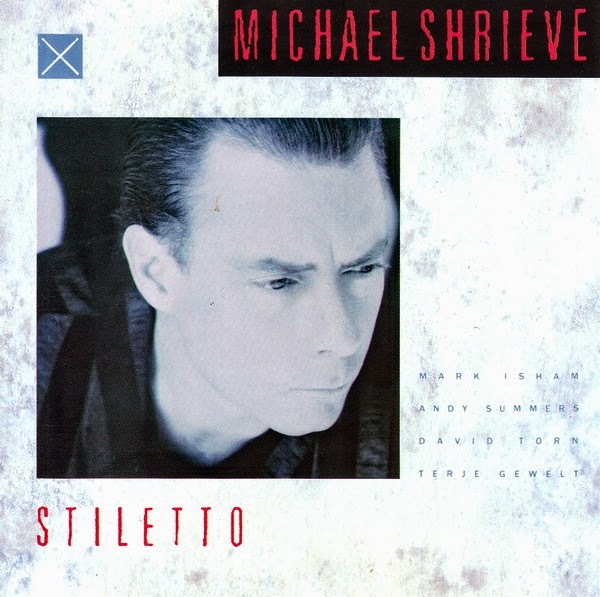 Legendary Drummer, Michael Shrieve spends time with On The Scene SF/O for a 2-Part conversation. Shrieve is often hailed as one of the highlights for his fiery drum solo during Santana’s “Soul Sacrifice”, as captured in the 1969 Festival’s film, Woodstock. He seeks out interesting people, and artists to embolden his creative output. Considered a music experimentalist, the drummer, percussionist, producer, and composer, has been involved in a wide array of innovative projects since his tenure in Santana, ranging from electronic music, to fusion, jazz, improvised music, and appeared on notable commercial outings, such as the Rolling Stones’ Emotional Rescue (on percussion) in 1980, and later on Mick Jagger’s “She’s the Boss” album. To illustrate the type of forward thinking musicians he associates with, collaborations include Stomu Yamashta, Steve Winwood, Al Di Meola, Klaus Schulze, David Beal, Andy Summers, Steve Roach, David Torn, Jonas Hellborg, Bill Frisell, Mark Isham, Jeff Beal, Wayne Horvitz, Zakir Hussain, Airto, and Jack DeJohnette. We begin by speaking about the new release, Santana IV, featuring the remaining members of the original Woodstock era of the band, with- Guitarist, Carlos Santana, Guitarist, Neal Schon, Vocalist and Keyboardist, Gregg Rolie, Percussionist, Mike Carabello, with newer Santana collaborators, percussionist, Karl Perazzo, Bassist, Benny Rietveld, and guest vocalist, Ronald Isley. With such a storied career, it is inevitable that there is much to mine in these conversations. In Part 1, you will get to hear some of the inside scoop on Santana IV, encounters with Bassist, Jaco Pastorius, while residing in New York, his forthcoming recording with Jack DeJohnette, Zakir Hussain, and others, as well as Shrieve’s experience meeting the classic John Coltrane Quartet, and his longtime friendship with Drummer, Elvin Jones. Trumpeter, Composer and Educator, Cuong Vu joins the conversation for Episode #007. Originally born in Vietnam and having grown up largely in Seattle, WA, Cuong went on to attend the New England Conservatory of Music, and experienced more than a decade on the New York City jazz and avant garde scene. Now a Professor of Jazz Studies back in his home town of Seattle at the University of Washington, he remains a critically acclaimed musician for his innovative approach to the Trumpet, Timbre, and Improvisation in performance and on recordings. His longtime collaborators, Bassist, Stomu Takeishi, and, Drummer, Ted Poor, feature prominently in Cuong Vu's works as a trio and quartet. With the expanded palate of musicians such as Bill Frisell, Myra Melford, or Chris Speed, and opportunities to work with boundary pushers such as Laurie Anderson and David Bowie, Cuong has added his signature approach on numerous recordings. His latest reunites him with, Guitarist, Pat Metheny, having recorded on and performed in support of The Pat Metheny Group's grammy award winning albums, Speaking of Now, and, The Way Up. The Cuong Vu Trio Meets Pat Metheny is an energetic outing that places the voice of the trio on equal footing with Metheny's meticulous improvisation. Under a flight path of the SEA/TAC airport, we discuss the new record, Wynton, Charles Ives, Music Industry Secrets, A Cautionary Tale about Smoking Pot, and the Seattle Improvised Music Scene. Warren Wolf took a break from a week long series of classes, workshops, and performances with the SF Jazz Collective in Sonoma to speak with OTS SFO. Best known for his work on Vibraphone, he has also performed or recorded with some of the biggest names in jazz, including Ron Carter, Kenny Barron, Bobby Watson, Nicholas Payton, Tia Fuller, Terri Lynn Carrington, Wynton Marsalis and the Lincoln Center Jazz Orchestra, and many more. Wolf grew up in Baltimore, MD., and trained on vibraphone, marimba, drums, and piano beginning at age three. After attending prestigious regional arts schools, he went on to graduate from Berklee College of Music in Boston, and quickly became a fixture on the performing and recording scene there. He came to prominence as a member of bassist/composer Christian McBride’s “Inside Straight” band. Most recently, he has been a member of the SF Jazz Collective and was featured on live recordings from the Collective’s last two seasons, and will be performing and recording in support of the new season addressing the music of Miles Davis. We spoke about the above, along with family, career, fitness, and his secret desire to become a professional wrestler. He also released his third recording for Mack Avenue with an all-star line up entitled "Convergence". EDITORS NOTE: The song "King of Two Fives" was originally released in error to read "Kind of Two Fives" through digital media. For Episode #005, we lean towards the Pop and Rock side of the fence. Our guest is Singer/Songwriter and Performer, Megan Slankard. 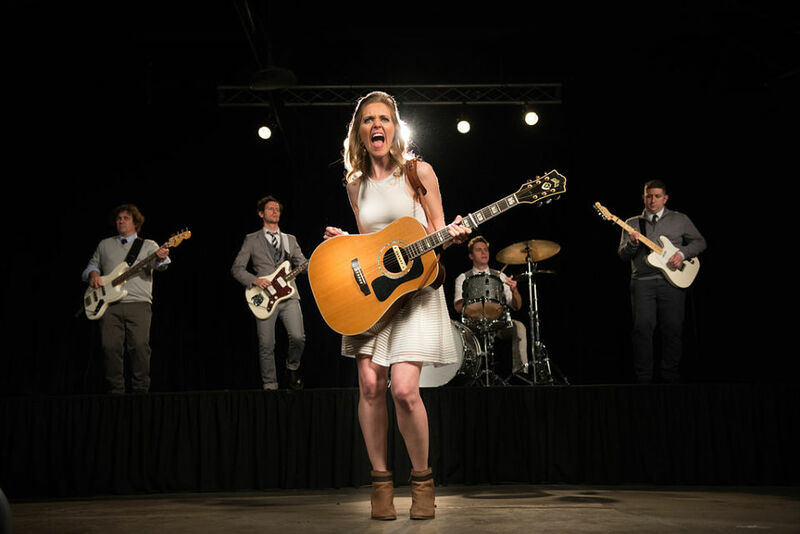 She has been a steady presence as a touring solo artist nationwide, and in top San Francisco venues with her highly polished band, amusing stage banter, and melodic hooks. Her songs have its roots in Americana, Album Oriented Rock, and clever Pop. This along with energetic and emotive performances have established her a devoted following of all ages. 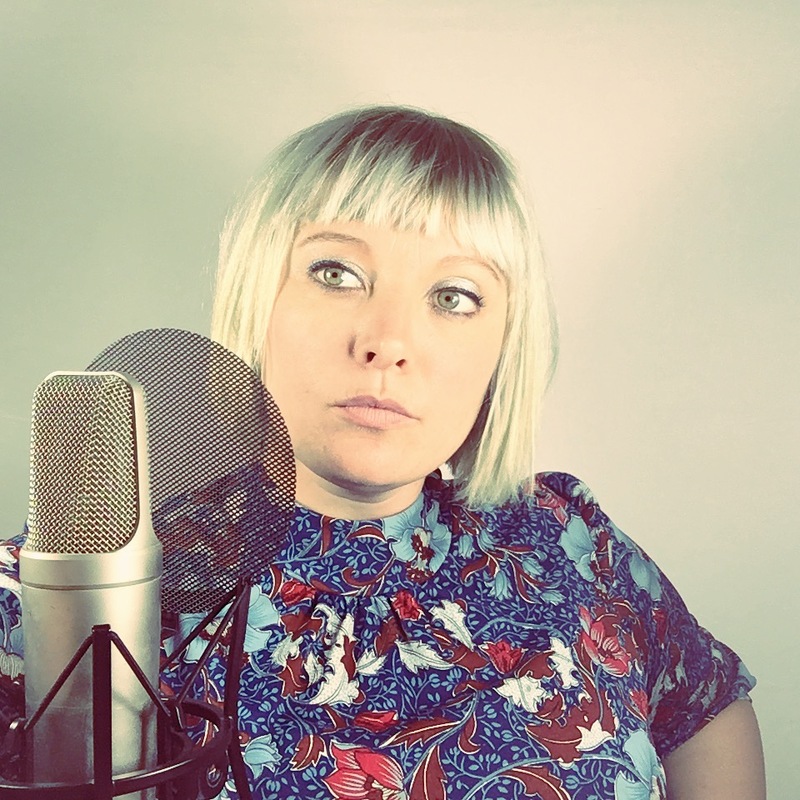 We get to mine Megan’s recent experiences with her residency at Doc’s Lab, tours as a Bose Troubadour, writer/director and performer in the comedic web series, inDIYe, and featured artist on the subscription oriented creator platform, Patreon. We also return to an earlier conversation conducted by Andrew Lion and Kevin Weber in 2011 at the time Megan released her full-length recording, ‘A Token of the Wreckage’. She also recently released her second Matthew Ward Directed music video in support of the single “Bones Live Forever” from her 2015 release, ‘Running on Machinery’. Vadim Neselovskyi joins us this time. The Ukrainian pianist reveals his process as composer, solo performer, and bandleader, to arrive at dazzling displays of virtuosity and memorable melodicism. 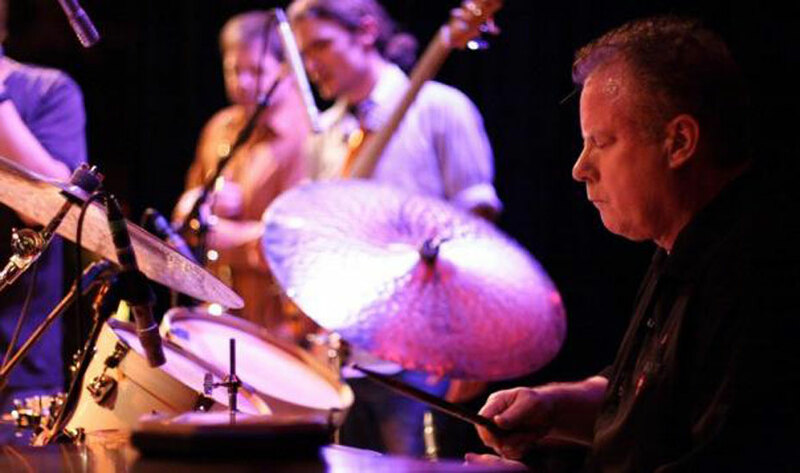 His skills as an improvisor and composer continues the thread of his own mentors, and collaborators, in the field: Vibraphonist, Gary Burton, and Pianist, Fred Hersch. 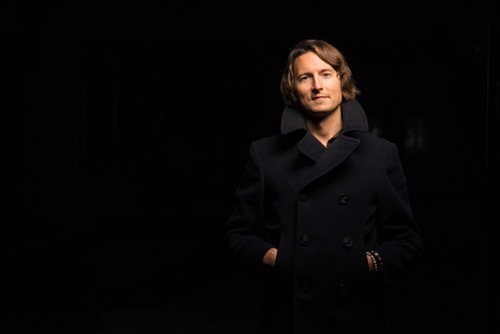 A Professor at Berklee College of Music, Vadim still enjoys a full schedule of collaboration and performances throughout the world. While fervent duets with Bassist, Jeff Denson, or Flugelhorn player, Acardy Shilkoper, can be heard on his itinerary, it is his trio, 'Agricultural Dreams', with Isreali Drummer, Ronen Itzik, and Bassist, Dan Loomis, that he is most excited to present. A new recording with the trio can be expected in 2016/17. We resume our discussion with Composer, Arranger and Bassist, Marcus Shelby. A 2011 conversation at the time he recorded and released material featuring new arrangements of familiar spirituals and protest songs as well as original music inspired by the 1960's Civil Rights era, called 'Soul of the Movement'. Marcus shares anecdotes of early experiences on the bandstand, and highlights the African-Amercian experience through detail of prior commissions and music works. We speak with Composer, Arranger and Bassist, Marcus Shelby. His Marcus Shelby Orchestra is a long time San Francisco Bay Area Institution with numerous appearances, commissions and recordings. In a special two part series of episodes, we start with a 2016 discussion surrounding his work with 'Beyond the Blues: A Prison Oratorio' that highlights music, art, poetry, and lecture to act as an agency of change in ending the prison industrial complex. Then we return to a 2011 conversation at the time he recorded and released material featuring new arrangements of familiar spirituals and protest songs as well as original music inspired by the 1960's Civil Rights era, called 'Soul of the Movement'. Buckle in, and stay tuned for Part 2! A tireless performer, educator, and beloved figure throughout the jazz community, Saxophonist, Dayna Stephens, has established himself as a distinct voice amongst his generation. 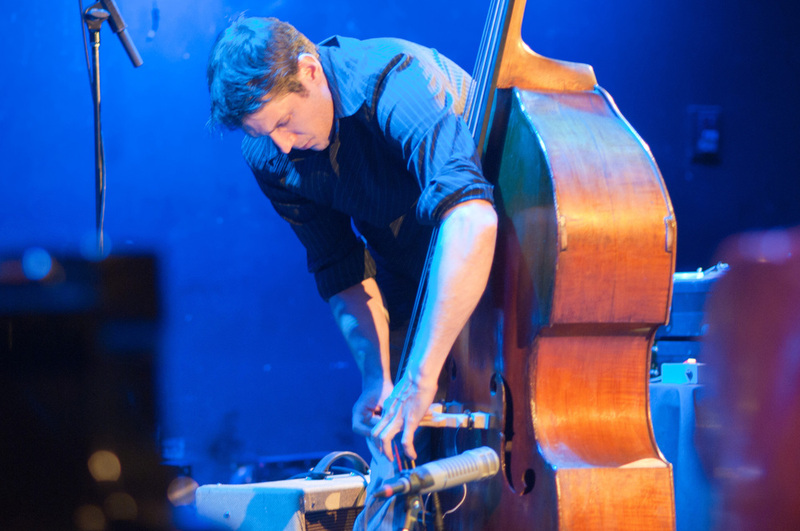 His stage and studio experiences span across contemporaries and legends, including Taylor Eigsti, Julian Lage, Gerald Clayton, Linda Oh, Aaron Parks, Gretchen Parlato, Becca Stevens, Brad Mehldau, Brian Blade, John Scofield, Herbie Hancock, and many more. Dayna recently overcame a rare kidney disease after securing a transplant in 2015. He discusses this and other topics of everyday performing, composing, leading and creating in the jazz idiom.